When Americans travel, says a recent feature in BisNow, only the accommodations themselves surpass the importance of travel quality. A swimming pool, for example, is way up there on travelers’ want-lists. Free parking, too. 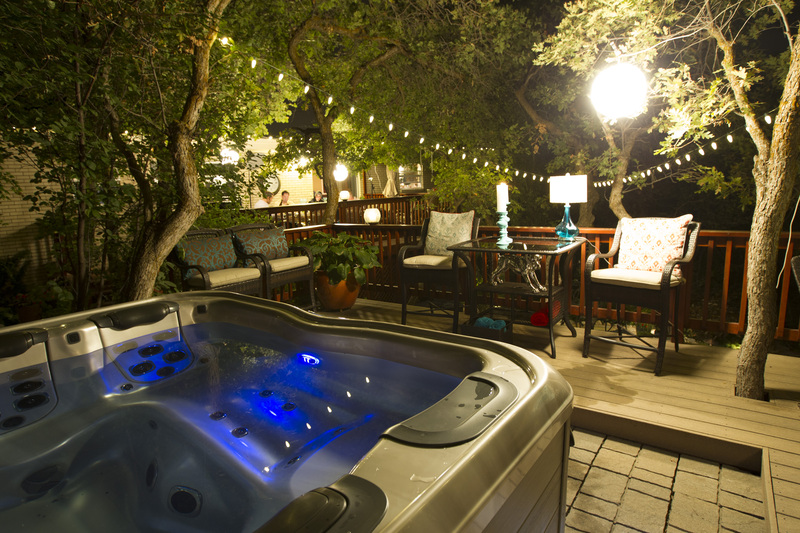 But did you know that a hot tub is another extremely popular amenity? To get an idea of how desirable a spa is when home-sharing, popular online sites offer a good gauge. Take, for example, VRBO which regularly emphasizes hot tubs when promoting accommodations. For all these reasons, Best Hot Tubs was heartened to learn from a recent news update from LIBN (Long Island Business News) that “Home-sharing hosting in New York’s Nassau and Suffolk counties is very much on the rise. Airbnb set a new record for this region, accounting for about 139,200 guest arrivals in 2018,” earning $5.3 million for Nassau hosts and $42.1 million for Suffolk renters. 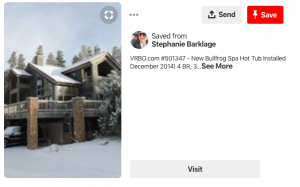 Speaking of VRBO: We loved this Pinterest post where the owner, sharing a screen shot of their VRBO listing, thought it important to not just stipulate she had a hot tub — but that it was a Bullfrog Spa. “We get her emphasis on what type of hot tub she had,” says Bill. 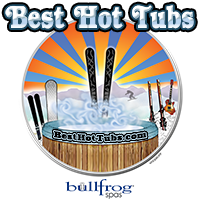 “Bullfrog Spas are the only hot tubs we sell at Best Hot Tubs. They are well-known for their unique JetPak Therapy System. Bullfrog’s JetPaks system of therapeutic massage seats consist of interchangeable jet panels you can mix and match to create a custom hot tub experience. Their models have 90% less plumbing as a rule, allowing for stronger pulsation, and they are so well-made they are also extremely energy-efficient. The author of “How to Rent Vacation Properties by Owner” and “Profit From Your Vacation Home Dream,” Christine Karpinski, told Best Hot Tubs a while back, that even if you do well during peak vacation season without a spa, having a hot tub can boost your off-season tremendously. “That’s because during the off season, when there are other rentals available with similar amenities, vacationers will most likely choose yours because of the hot tub,” she says. This is a key point, because Long Island is much more than her beaches. Be it The Belmont, The Hampton Classic Horse Show, the Long Island Regatta, tennis or golf tournaments, we do all seasons exceptionally well here on Long Island. So go ahead and list your property and all its amenities: fully stocked kitchen, crisp, clean linens, pool, near beaches or other outdoor activities, etc.,….and…of course…. Note: Best Hot Tubs also has a showroom in Windham, NY, where home-sharing and vacation rentals are also very popular. For more on increasing rental potential in the Catskills, click here. Improving Your Golf Game: Soak, Swing, Soak! Barbara Corcoran, a New York Real Estate mogul and one of the stars of the “Shark Tank” TV show, selected Best Hot Tubs for a Bullfrog spa installation at her Fire Island, NY beachfront vacation home. She was impressed with the Bullfrog Hot Tub construction and features. The video tells the story, in her own words, very well.